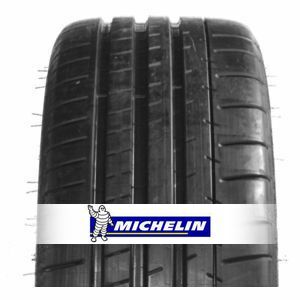 The Michelin tyre Pilot Super Sport ensures road handling 12% better and a treadlife up to twice as long as the previous version. It is optimized by the contact patch 2.0 technology and the TwaronMD belt that ensures long term treadlife and even wear. Its tread provides outstanding braking on dry roads. This tyre was originally introduced on the world's most sophisticated sportscars as well as on the vehicles customized for ultra high performance. This new tyre bears testimony of Michelin's know-how in the greatest international races, including the 24 hours of Le Mans.